Ah, love is in the air, and it’s that time again when we want to do something special for our special someone. Paris might bill itself as the most romantic city in the world, but London has a lot going for it when it comes to love. There are many places you can visit with your partner to spend Valentine’s Day or for a date that will be truly memorable and help you fall in love all over again. We’ve mentioned five of our favorites here, but let us know your own in the comments. 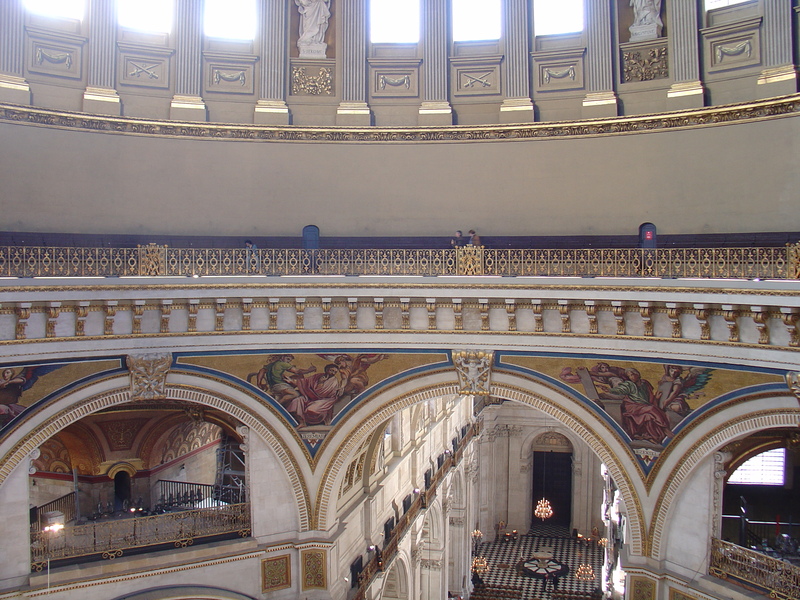 If you want to whisper sweet nothings, the Whispering Gallery at St. Paul’s will present a new way to do that. Part of the church’s dome that was completed in 1710, its unique construction makes things said on one side of the gallery audible on the other. 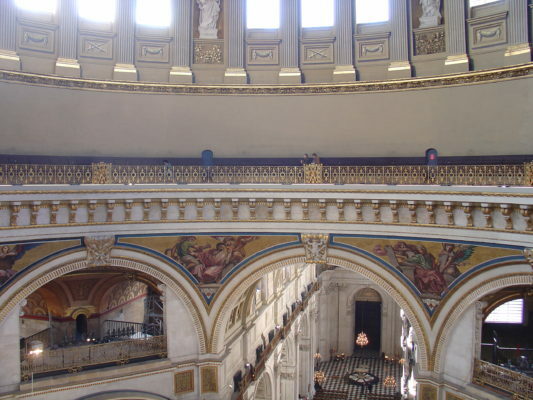 Of course, it is a bit of a trek to get there as the gallery sits thirty meters above the cathedral floor, meaning you have to climb the 259 steps to experience this acoustic wonder, though it will be an experience you never forget. It’s not exactly news that the London Eye offers private capsules for its flights, but the Cupid’s Capsule is a special opportunity unto itself. Ordinarily, one can do a champagne flight in a private capsule, but the Cupid option involves not only the bubbly but also chocolate truffles and your own personal host. The Shard might have the highest view of the city, but it isn’t the most personal. 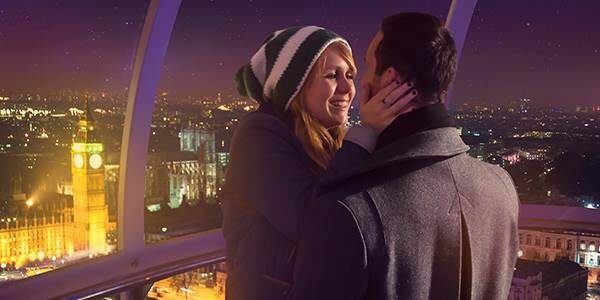 Needless to say, many a proposal has taken place on one of the London Eye’s Cupid flights, because few things compare to a romantic view of the city with just you and your partner. 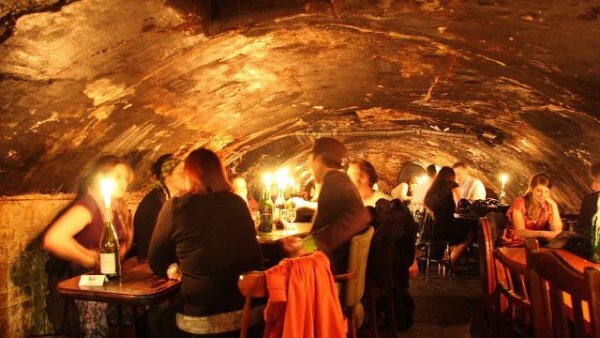 Said to be the oldest wine bar in London at 128 years old, Gordon’s has a special atmosphere that is just made for two people who want a romantic night out. The low, cavernous ceilings in the cellar are perfect for creating an intimate feeling whether it’s only the two of you or you’re having a night out friends. The remainder of the bar is adorned with vintage photographs, newspaper clippings, and memorabilia, creating a wonderful hodge-podge for the eclectically mined. Of course, the wine offerings are very good as well, and you can find something to please every palette from the staunch beer-drinker to the most experienced sommelier. 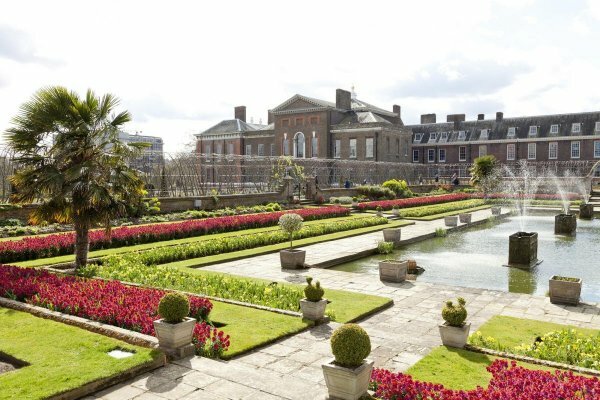 Gardens are all over London, but who can resist the opportunity to visit one in the backyard of one of Britain’s most glamorous couples? Despite being part of a royal residence, the gardens are open to the public so that anyone can visit the colorful flower beds and flowing greenery. The lover’s arch, which borders the palace, is one of the most picturesque places to take a stroll and even snag a kiss. Whether it’s the middle of winter or the full boom of spring, the arch is a must-visit spot for tourists and locals alike. 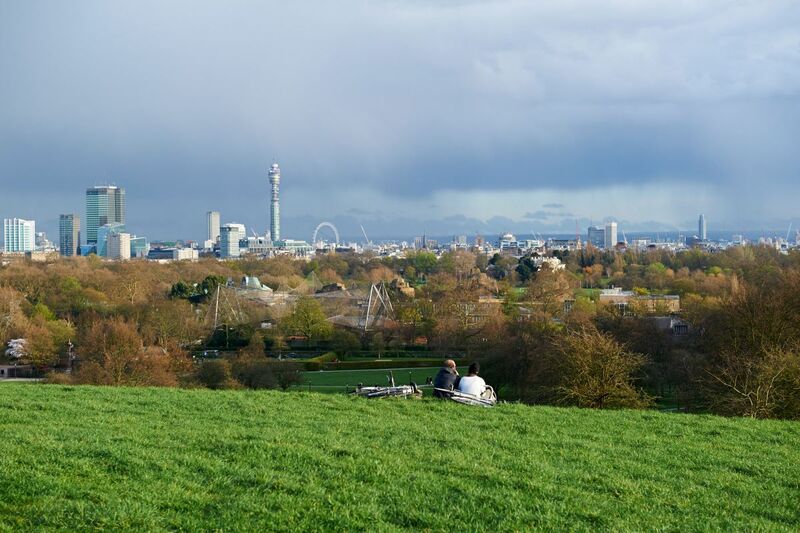 A romantic picnic can make the best date, and there are few places more perfect than Primrose Hill. Part of Regent’s Park, the hill itself is 213 feet, which gives visitors a wonderful view of Central London and its many landmarks. Shakespeare’s Tree, found on the slope of the hill was planted originally in 1864 to mark the Bard’s 300th birthday (a replacement tree was planted in 1964), is a must for the literary-minded. If you want to do a picnic, Fortnum & Mason’s hampers can’t be beaten and will be a perfect way to begin or finish any trip to London. Going back Feb. 21 & Gordon’s is on our to-do list. (Also the American Bar at the Savoy) Just have to time it to miss the crowds. I have also been warned about the dark close feeling if we make it inside.